Quick Ship Item - Ships within 24 hours. Inexpensive Shipping Rates. 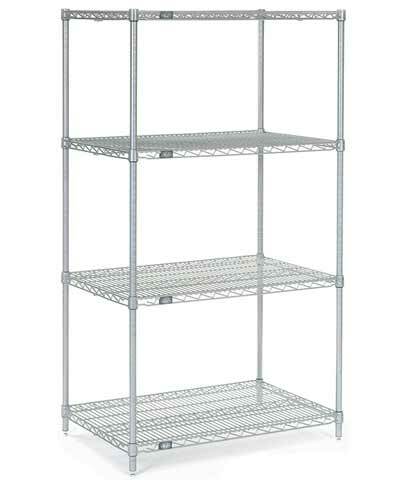 Chrome Heavy Duty Wire Shelving Units consist of 4 posts, 4 shelves and plastic shelf clips in the height and shelf size indicated (24" x 72" shelves, with 74" height posts).